Never mind that this year’s International Woodworking Fair, Aug. 25-28 in Atlanta, was smaller than any I have attended since my first in 1986 and had 300-plus fewer exhibitors than 2008. It was still daunting and left me to wonder how anyone of the estimated 11,000 attendees that came to the show could have adequately covered it, especially if they were only there for one or two days, which I surmise from traffic patterns was the max for most. 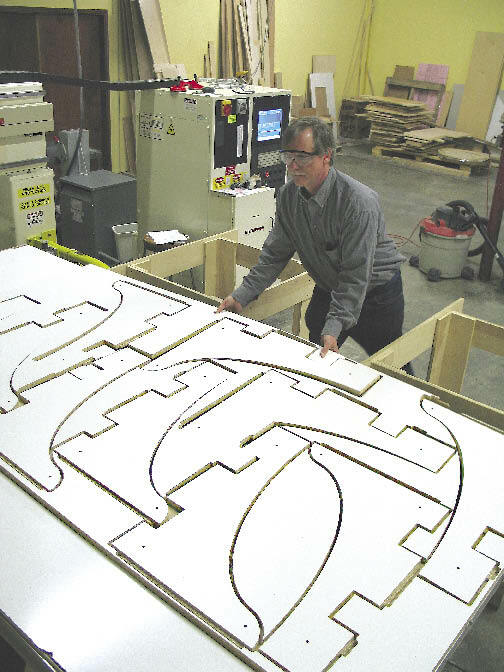 • North American wood products manufacturing, though continuing to struggle with the economy, has a pulse. I know coming into the show that a lot of companies did not send personnel to the show because they were not looking to buy equipment and could not justify the expense. My comment: Shame on them. Even two days at the show would have afforded the chance to not only see what’s new, but shop and compare renewable supplies like hardware and components or to connect with machinery vendors to assure their interests are still top of mind. • The Internet is a great way to see what is new and to help narrow choices. But there is nothing more powerful than the tactile sensation of seeing machines in action and immediately judging the results of a machining operation by running your hand across a surface or edge. 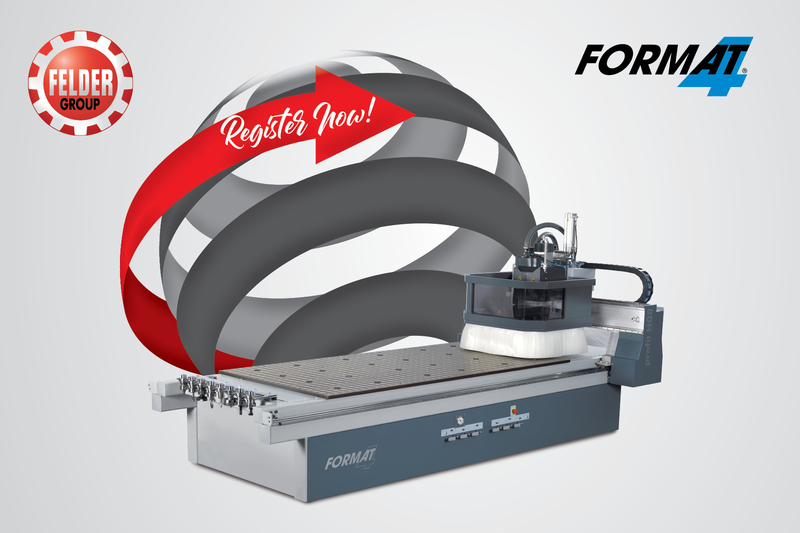 The absence of some major woodworking machinery suppliers, coupled with the downsizing of booths by many others in the machine hall, was readily apparent to veteran IWF attendees. But most of the equipment vendor representatives I spoke with said they had sold machines and generated sufficient leads to make them happy. • Software will continue to drive automation because of open architecture; machines even purchased from direct competitors can be linked together to achieve desirable results. • Soft- and silent-closing hardware is way beyond being a fad and more and more becoming mainstream. • Everything is green. Board products, finishes, adhesives, hardware, etc. Your job is to do the due diligence to determine what will be the greenest for your company’s needs. • I saw more Chinese equipment and hardware exhibitors than I’ve ever seen at IWF, which follows a pattern I witnessed at recent Kitchen and Bath Industry Show. This is an observation, not a condemnation; IWF is, after all, an international show. 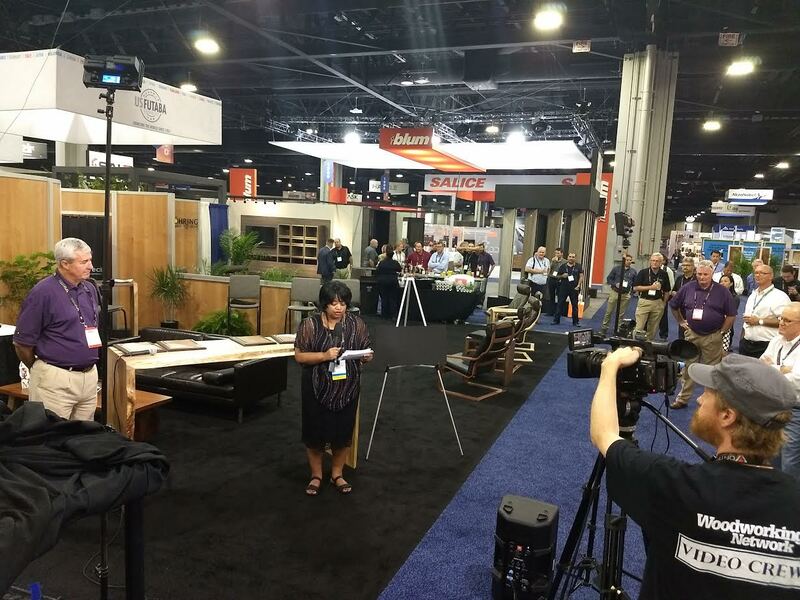 • I am proud that no other news organization covered IWF better than Woodworking Network did leading up to, during and after the show. • If the woodworking industry is your career like it is for me, then events like IWF are the ultimate class reunion. You become reinvigorated by staying in touch with old colleagues. In my case, I just celebrated 25 years covering the industry for Vance Publishing Corp. and enjoyed the opportunity to reminisce with many a long-time reader and customer. • Aside from seeing and talking with industry colleagues I have known for years, IWF also afforded the opportunity to make new business acquaintances. Our staff met many people for the first time at IWF. Some are great advertising prospects and others are great sources for information on design, technology, environmental issues, etc. to be tapped for articles in our family of publications and Websites. Many of these new relationships would not have happened if not for an important industry event that brings the full diversity of the woodworking industry to one space in time. Bottom line: If you failed to participate at the industry’s most important event, you need to double check why you practice woodworking.